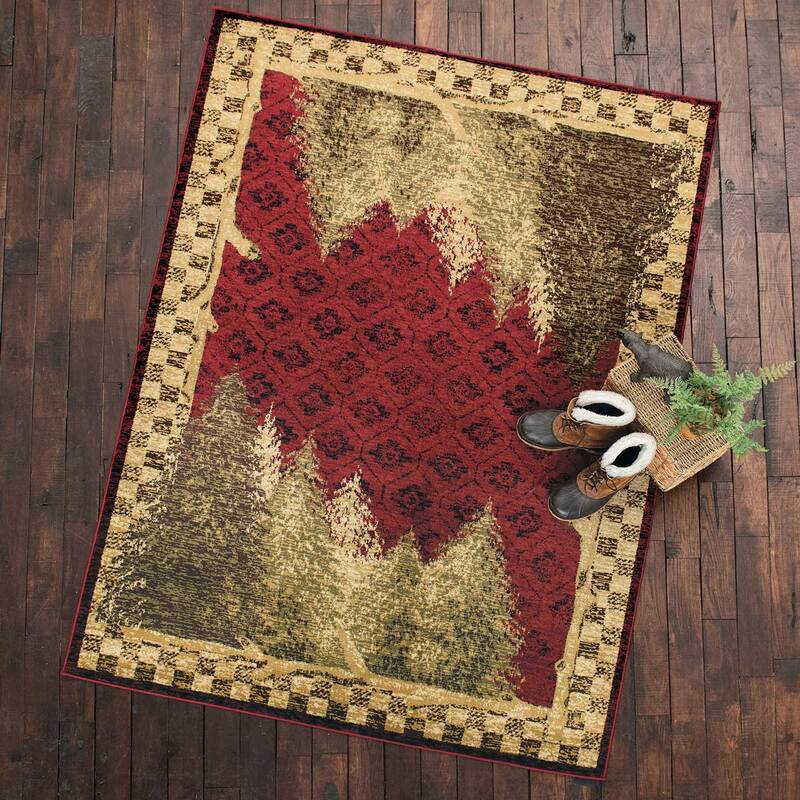 A Black Forest Décor Exclusive - Pine trees, twigs and plaid create lodge beauty on this durable nylon rug with serged edges and latex backing. Spot clean recommended. 2'W x 3'L.